… otherwise known as How to Become a Hybrid in One Fell Swoop. ‘Cause that’s what I am now, kids. Self-published and, with this, traditionally pubbed. Or at least Indie Pubbed. Learned today that Forever Dark, a short story I wrote, will be in the upcoming edition of Tales from the Lake, Vol. 2, the sequel to the successful Tales from the Lake, Vol. 1 from Crystal Lake Publishing. Why does this matter? One, because how cool is it to actually be chosen out of all those amazing entries from, no doubt, equally amazing writers. 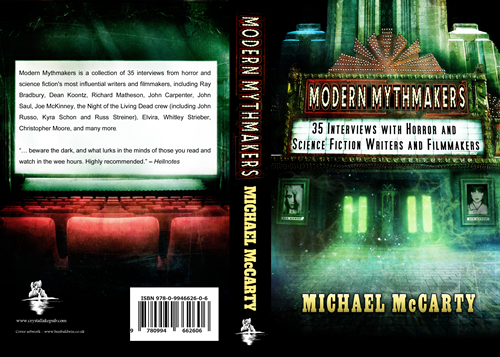 And, two, I’ll be sharing the pages with the likes of Ramsey Campbell, Jack Ketchum, Lisa Morton and Edward Lee as well as Tim Lebbon, Raven Dane, Rocky Alexander, Jim Goforth, Hal Bodner, Glen Johnson, Steven Savile, Richard Chizmar, Rena Mason, Ben Eads, Aaron Dries and Jan Edwards. If you don’t know these names, you should.